This year, autumn is progressing quickly, especially at elevations above 7,000 feet. I realize that if I want to squeeze in one more high-elevation hike before winter, I had better do it soon. So this morning, I wake in the wee hours and drive up to the Longs Peak Trailhead, hoping to hike to Chasm Lake. Although I arrive more than an hour before sunrise, the trailhead parking lot is already full—overflowing, in fact. Parked cars line the road for a mile down the hill. A long queue of hikers plod their way up the tarmac to the trailhead, headlamps blazing. I assess my options and decide not to park my car at the side of the narrow mountain road. 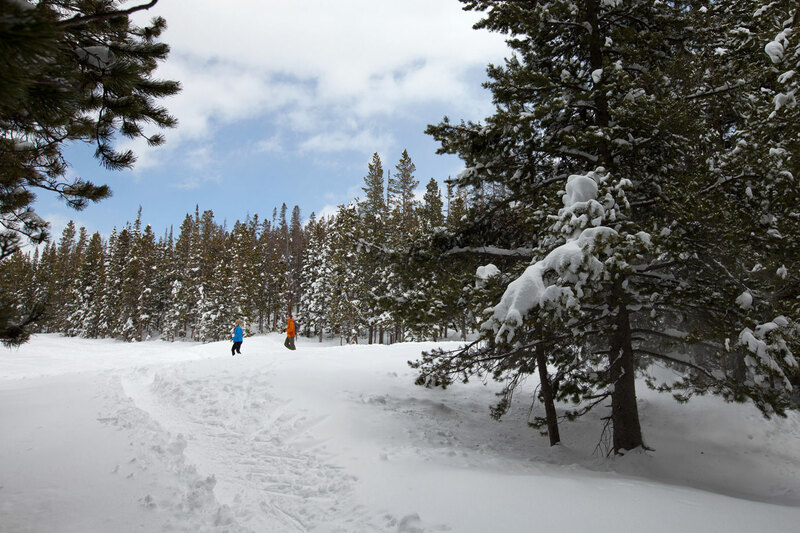 The trail is bound to be crowded and it’s just not worth the hassle. With that, I abandon my Chasm Lake intentions and drive back down Longs Peak Road. At the Highway 7 junction, I pull over to weigh my options. I realize don’t have a Plan B.
I need a Plan B. For a moment, I consider turning right down Highway 7 and driving back home—calling it a day. But I know I need to exercise. I’ve been sitting at a desk working far too much lately. My lower back has started to bother me. The pain is dull but persistent. The discomfort radiates down my right leg, irritating everything along the way: hip flexor, quad, IT band, knee, calf, ankle. Everything feels either weak, taught, inflamed, or misaligned. The cure I know is movement. 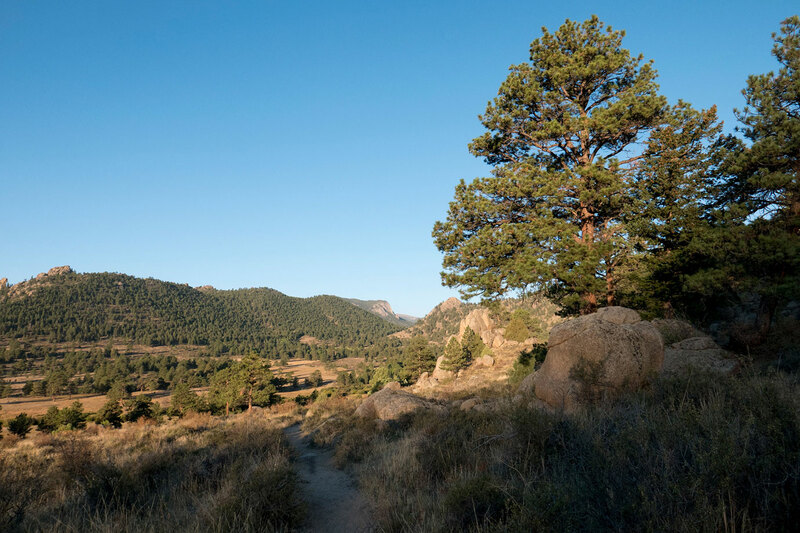 So I shrug off the urge to go home and turn left towards Estes Park where the hiking options are plentiful. In that moment of decisiveness, I declare that my Plan B is a hike along the Black Canyon Trail at Lumpy Ridge. When I arrive at Lumpy Ridge, the sun is just starting to rise. I eat a granola bar for breakfast, organize my gear, and start my hike. 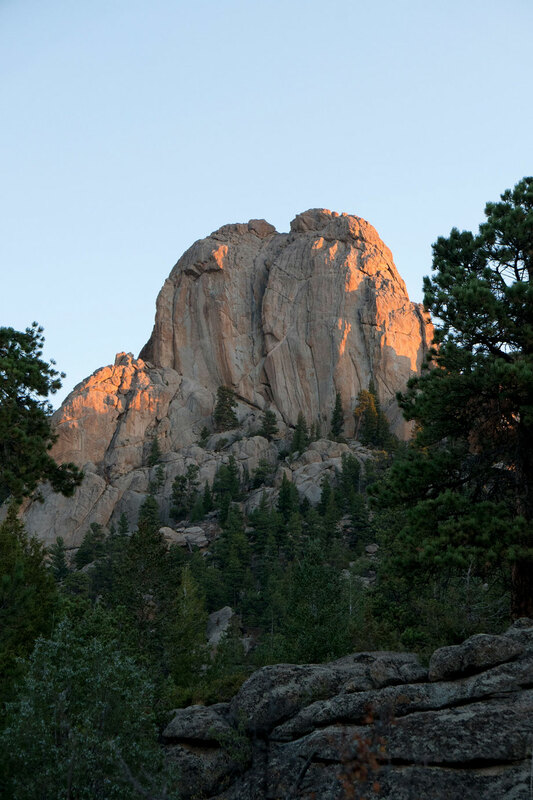 There are several other early morning hikers, mostly rock climbers en route to one of the ridge’s superb climbing areas such as The Book, The Pear, or Sundance Buttress. Climbers are always fast hikers so I let them pass. They are friendly too, offering up wide, early-morning smiles and warm “Good morning!” greetings. As the sun climbs over the horizon, it casts a lovely pink glow on the ridge. The air begins to warm and I settle into my own moderate hiking pace. 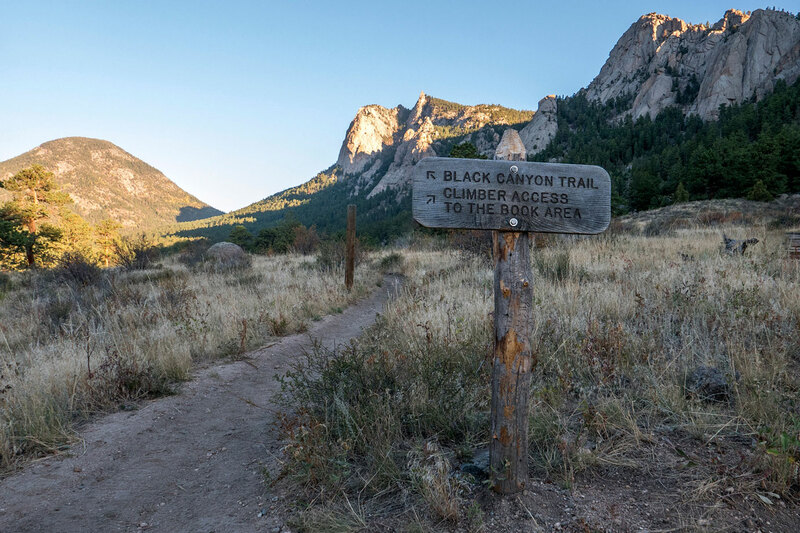 The Black Canyon Trail is part of an 11-mile loop that encircles Lumpy Ridge. 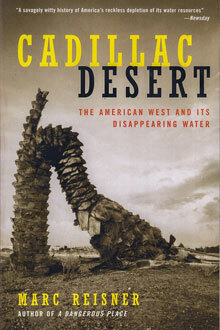 I plan to hike the entire loop some (other) day. Today, I keep it simple: I hike out-and-back for a total of about six miles. 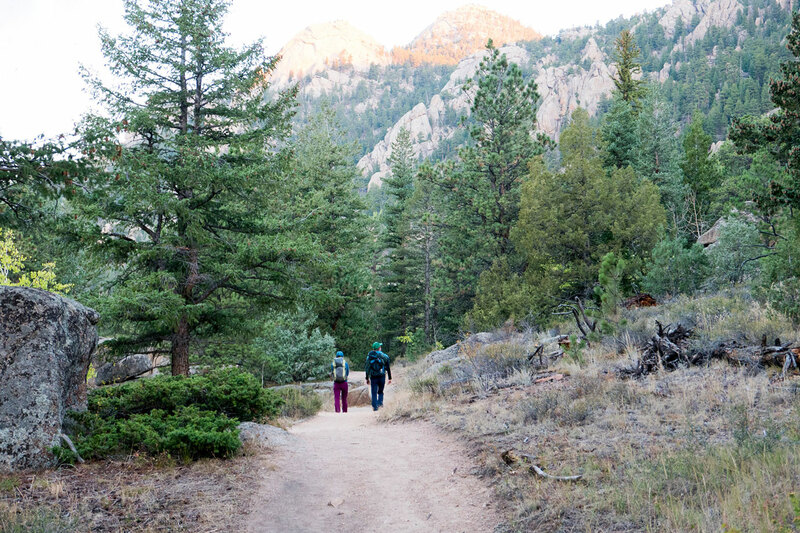 It’s enough to give my legs a generous workout and to soak in plenty of the beautiful views the trail offers. I’m sure I never would have thought of going to Madison County had I not seen the movie The Bridges of Madison County. 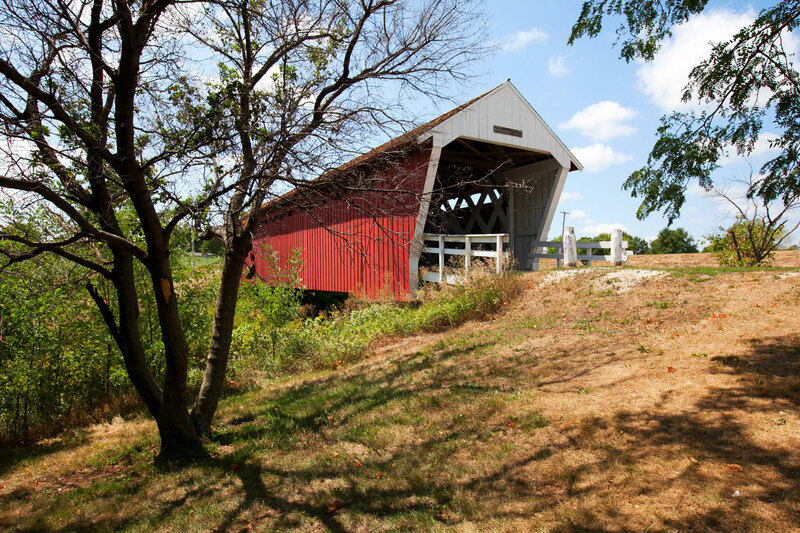 But ever since I saw the movie I’ve been wanting to visit the corn-blanketed hills of central Iowa to see the covered bridges described in the story. We celebrated Christmas in Wales this year. 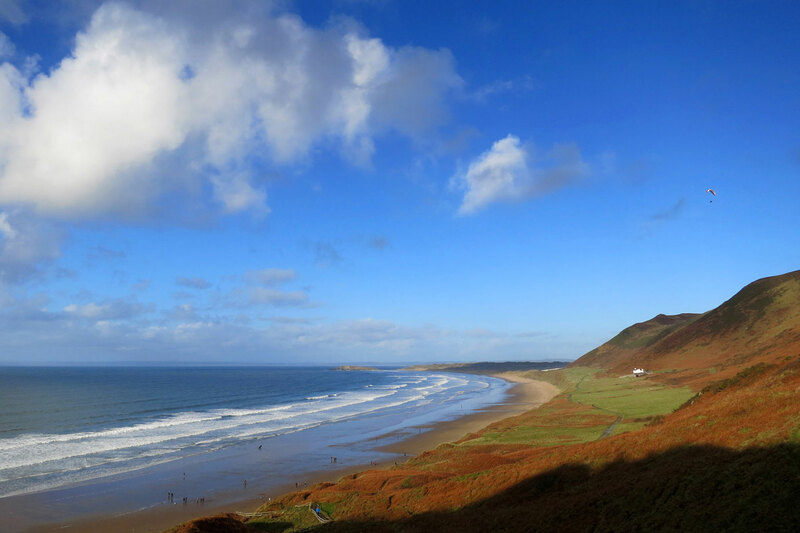 On Boxing Day, we bowed out of the usual festivities to spend the afternoon at Rhossili Bay. It was wonderful to soak up the sunshine and breath in the fresh sea air. This past week, a large, slow-moving storm system passed through the Front Range. At lower elevations it started out as snow, but the temperatures warmed and the snow gave way to copious amounts of rain.